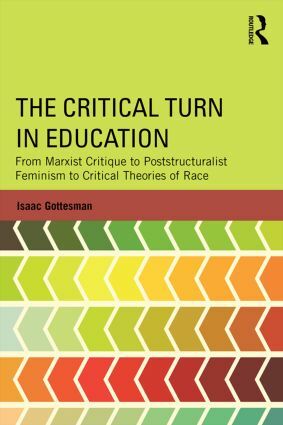 The Critical Turn in Education traces the historical emergence and development of critical theories in the field of education, from the introduction of Marxist and other radical social theories in the 1960s to the contemporary critical landscape. The book begins by tracing the first waves of critical scholarship in the field through a close, contextual study of the intellectual and political projects of several core figures including, Paulo Freire, Samuel Bowles and Herbert Gintis, Michael Apple, and Henry Giroux. Later chapters offer a discussion of feminist critiques, the influx of postmodernist and poststructuralist ideas in education, and critical theories of race. While grounded in U.S. scholarship, The Critical Turn in Education contextualizes the development of critical ideas and political projects within a larger international history, and charts the ongoing theoretical debates that seek to explain the relationship between school and society. Today, much of the language of this critical turn has now become commonplace—words such as "hegemony," "ideology," and the term "critical" itself—but by providing a historical analysis, The Critical Turn in Education illuminates the complexity and nuance of these theoretical tools, which offer ways of understanding the intersections between individual identities and structural forces in an attempt to engage and overturn social injustice.